LSZH C14 to C15 Power Cables | World Cord Sets, Inc.
IEC 60320 C14 to C15 Power Cables utilizing LOW SMOKE ZERO HALOGEN cordage (BSI, HAR, ROHS, IEC, HD21.14, BS EN 50525-3-11). For installation where fire, smoke emission and toxic fumes create a potential threat to life and equipment. LSZH, LS0H, LSOH, LSFH, 0HLS, OHLS. Our C14 to C15 LSZH Cord Sets utilize Low Smoke Zero Halogen 18/3 cordage. These are typically used in locations where damage from smoke could cause serious harm to humans, or, damage to equipment. 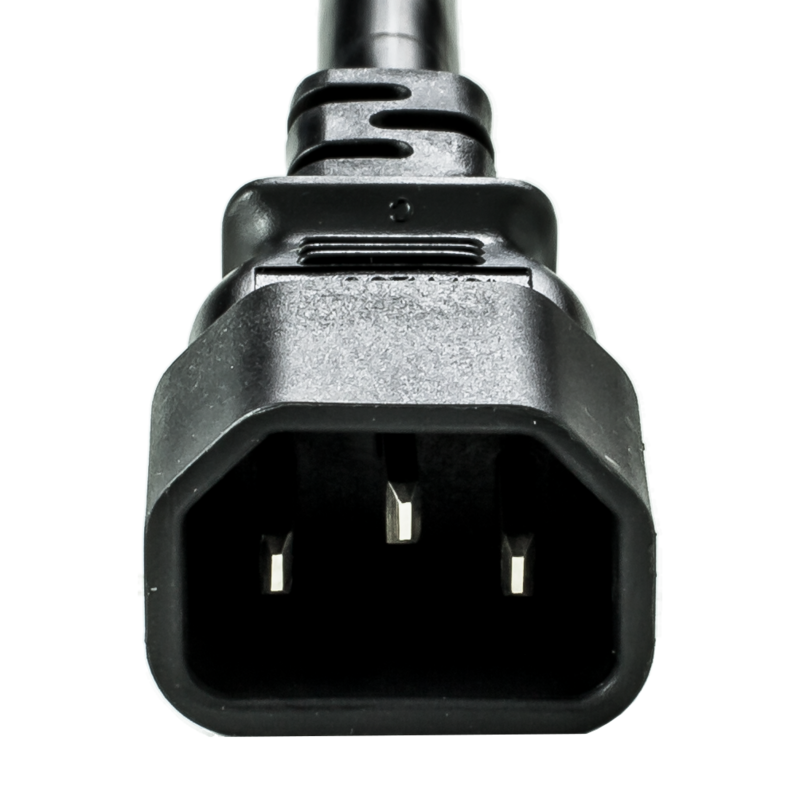 Our C14 to C15 LSZH 18/3 Cord Sets are rated for 10amps and 250V. However, in the united states these are often used in 125V circuits and will work perfectly for this application. Standard power cable jackets are made from a PVC compound containing Chlorine (part of the Halogen Group), which, when burned release a toxic gas that can cause serious damage to humans and electrical equipment. This raises concerns in applications that have dense PVC cabling where electrical equipment or people are present. Low Smoke Zero Halogen products solve this by removing halogens (up to required standards) from the material used to manufacture LSZH products. You can find the amount of halogen contained in typical LSZH Cable in Table 2 below. What are the standard applications of LSZH? Low Smoke Zero Halogen cabling is usually used in regulated industries such as government. New data centers are sometimes choosing to use LSZH cabling to help protect data center facilities from the harmful smoke in case of fire. Because data centers utilize large ventilation systems, even a small amount of smoke in a small area can quickly be distributed accidentally throughout the entire building through the ventilation systems.